The pharmaceutical market was valued at R 45 billion and the private sector holds 84%, while the public sector has 16% in value share. South Africa is ranked number 46 in the list of global exporters of pharmaceutical products. This is R 4.9 billion in value made up mostly of generic products, exported to Africa. OTC medication, particularly schedule 2 products aimed at pain, fever relief and cold preparations have had steady growth, while the total OTC segment has enjoyed a 5% sales unit growth in the last year alone. When looking at trends in the pharmaceutical industry, one has to balance the dynamic of regulation and consumer demand. The entire drug life cycle from research, production, transportation, generics, patents…etc, is regulated in most parts of the world. Pharmacy in South Africa continues to see growth, mostly driven by generic medicines however it faces numerous challenges. Skills shortage of chemical engineers, who actually manufacture the chemical ingredients for medicines. South Africa does not have a single active pharmaceutical ingredient plant, due to the environmental regulations here. We import ingredients from all over the world and formulate here. Import duties make it difficult for formulation plants to compete with the Chinese and Indian markets. Single exit pricing is great for consumers, however it has influenced how major manufacturers approach innovation and expansion. Evolving Consumerism and the role that pharmacy’s play in the lives of people across income groups has required that the industry change how it operates. The healthy trend has become a lifestyle as people seek preventative measures and with reliable information on digital platforms. 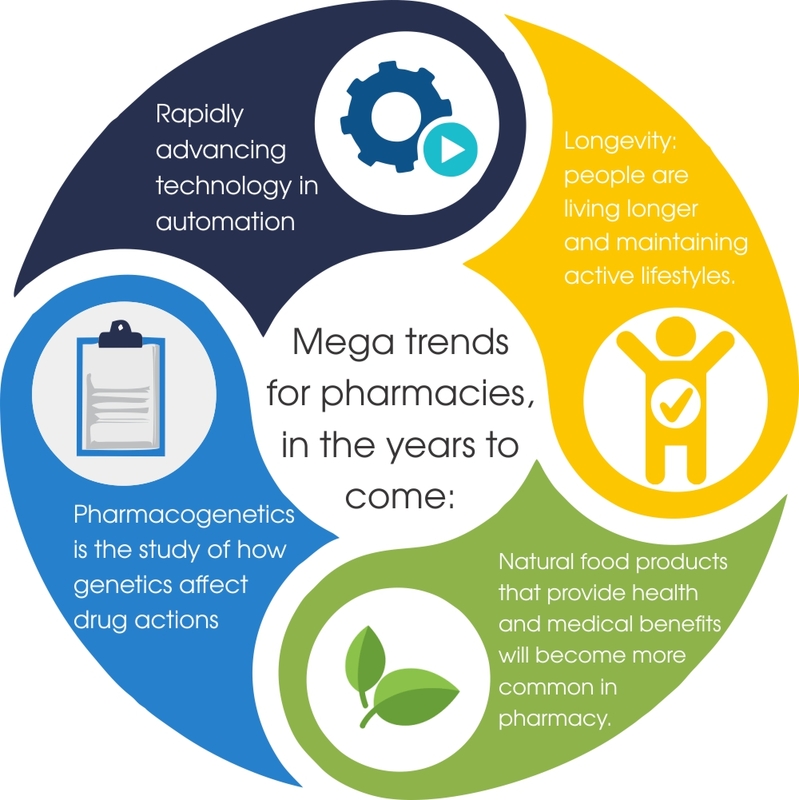 Efficiency in the pharmacy industry used to be achieved by dispensing more scripts faster to a steady number of patients, while enjoying a level of exclusivity and trust in its geographic area of operation. 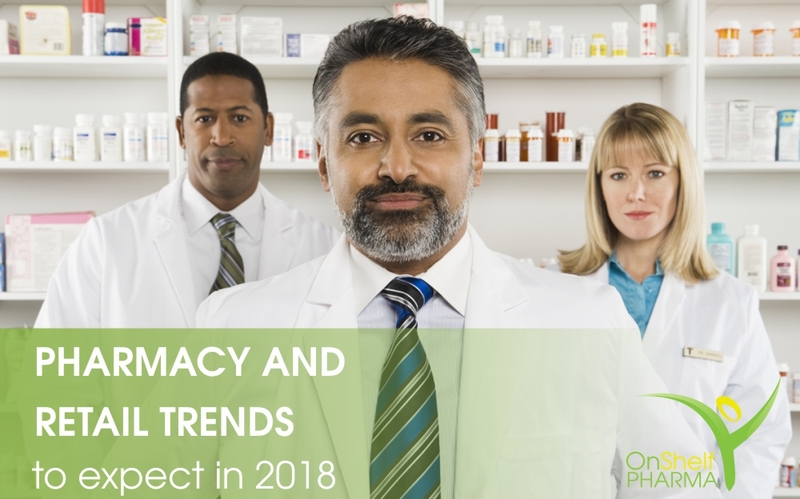 However the expansion of branded pharmacy groups that offer more than prescriptions and OTC medication has transformed how people engage with pharmacies. Access to information also means that people can self-medicate without needing to rely exclusively on their doctors or pharmacists. Traditional pharmacies have needed to adapt their model to leverage opportunities and still have a long way to go. Amongst the short term movements in the pharmacy industry, a big opportunity is the Patient first model. The patient first model, puts the patient in the seat of empowerment. The traditional top down model of product promotion will need to change to a more flexible model. One which seeks to transfer knowledge and understanding to the patient so that he is able to manage his condition and report changes in real time. Productive patient collaboration means that diagnosis and treatment are closely related to the individual’s reaction. Setting up a manageable and automated engagement tool that facilitates the patient’s performance on an hourly basis allows for collection of data. With digital advancements, this is achievable. Rapidly advancing technology in automation has created automatic dispensing units driven through robotics. Artificial intelligence creates clinical diagnosis based on large amounts of medical data. Pharmacogenetics is the study of how genetics affect drug actions. While still in its infancy, it won’t be long before this science is introduced into practice. Longevity: people are living longer and maintaining active lifestyles well into their senior years. Baby boomers are living longer, however we’re not sure why. Nutraceuticals, ie) natural food products that provide health and medical benefits will become more common in pharmacy. Most people are more interested in staying out of the doctor’s office, and therefore being fit is a priority. Brands like, Nike have extended their positioning to include wellness which is a broader step from its traditional high performance and endurance advertising. Shoppers are responding by showing demand for products that support fitness. Access to all sorts of information sources, from manufacturers publications to peer reviews, people are empowered to understand their ailments and self-medicate. 73% of people say that they would rather self-medicate than see a doctor, in a study conducted in America. Research estimates that 65% of people who visit the internet in a 12 month period went to a health related site. So how does this impact retail pharmacies? The introduction of pharmacies into retail is an add-on to the core business. It possibly started as an experimental project and as demand grew, retailers modified the purpose of pharmacy within their stores and continue to adapt it with cautiously observing how shopping engage with the department. Pharmacy is destined to hold its position in retail and grow its relevance to shoppers. Both traditional pharmacies and retail pharmacies have their own dynamic challenges, trends and growth opportunities. While there are overarching similarities, each is in the phase of needing to define its differentiated positioning so that there is enough distinction for shoppers to be able to choose where to shop. The future of the pharmaceutical industry in South Africa remains alive with potential, despite the economic performance. The short term impact on disposable income of households, weighs down the growth potential, as shoppers are attuned to more price sensitive purchase choices. To participate in growth, it is very important for participants in the pharmaceutical industry to embrace trends while determining a unique offering. The South African private pharmaceutical industry is expected to carve out growth and reach R47bn by 2020.